With outdoor sculpture - Touchstones by artist Jane Cavanough of Artlandish. 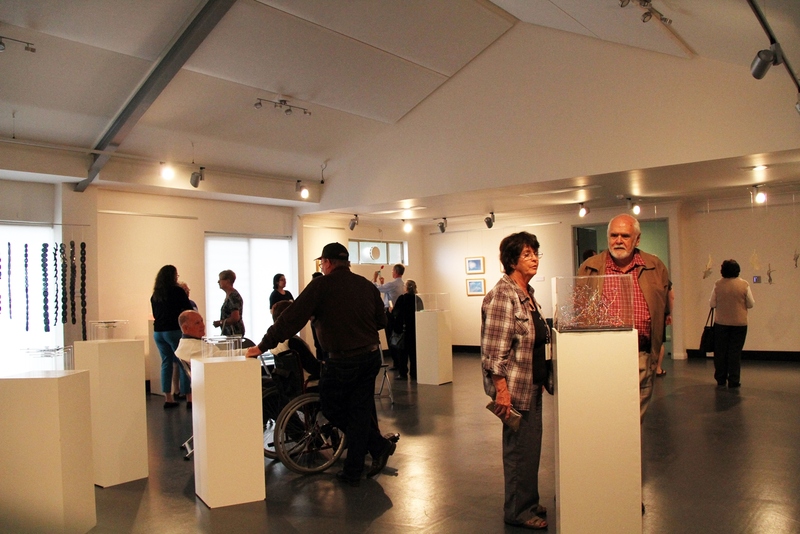 The Art Centre has exciting programs, events and workshops on offer. The Arts Centre Access Program engages professional artists as tutors and works in partnership with local disability services. Taught by professional artists, the Arts Centre offers creative classes to students of all ages and level of experience. Awakenings exhibition by Artist in Residence - Glenda Rawlinson. 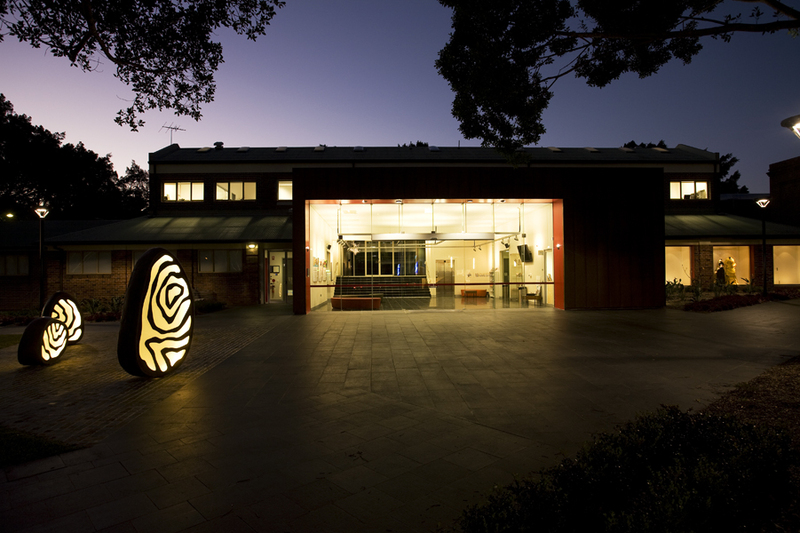 Opened in February 2011, the Bankstown Arts Centre is a cultural facility, where artists and community groups collaborate to explore ideas and learn, create and experience contemporary community based arts. The Arts Centre provides accommodation for professional and amateur arts organisations, as well as a range of flexible spaces to develop arts practice. Resident organisations at Bankstown Arts Centre include Urban Theatre Projects, Bankstown Youth Development Service, Bankstown Art Society, Bankstown and District Lapidary Club Inc. and Bankstown Theatrical Society. 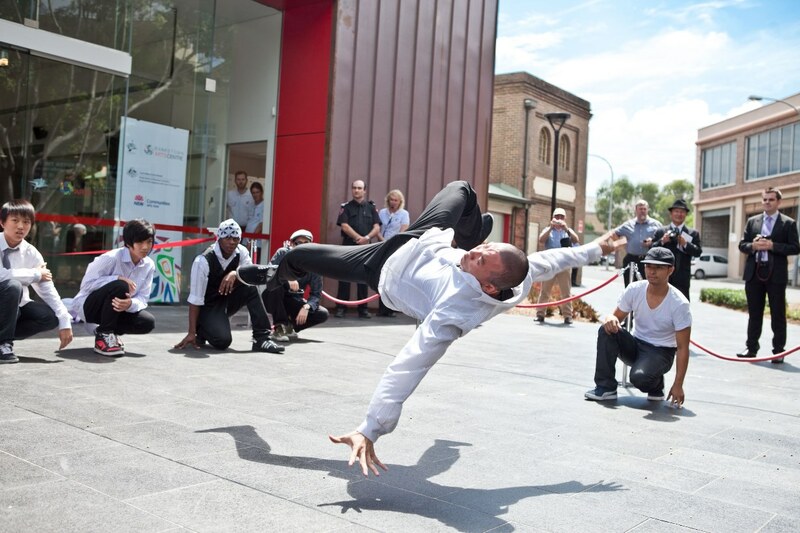 The Centre has been developed reflecting community’s expressed needs and the variety of spaces available for exclusive and wider community use will generate activity and interest from Bankstown and beyond. A major focus for the Arts Centre is to provide support and reducing barriers to arts engagement for artists/ communities and audiences experiencing social exclusion such as Aboriginal and Torres Strait Islander communities, people with a disability, culturally and linguistically diverse (CALD) and low income communities.